In recent years, the actions of pharmaceutical drug distributors have garnered mainstream attention. Whether it was the significant price hikes that were observed with Daraparim, EpiPen, insulin or specialty drugs, the public has felt the impact of these actions on their healthcare. Opponents of these practices were concerned that they would become the new standard and that not much could be done to properly regulate drug pricing and create meaningful consequences for those who were not compliant. A particular issue that has gained widespread attention is the growing opioid epidemic and the prescribing patterns and access to this dangerous drug class, which has been associated with increases in abuse and overdoses. As the toll of the opioid abuse continues to be felt, manufacturers, doctors and pharmacies are starting to experience the consequences of their unsanctioned, suspicious or unethical practices. The Justice Department recently demonstrated these consequences in the form of a $150 million fine levied on the McKesson Corporation for violating the Controlled Substances Act (CSA), because it failed to report suspicious orders for controlled substances. The penalty is considered one of the largest civil penalties to be handed down to a drug distributor. "From 2008 until 2013, McKesson supplied various U.S. pharmacies an increasing amount of oxycodone and hydrocodone pills, frequently misused products that are part of the current opioid epidemic," according to the Justice Department. The settlement also requires the company to suspend sale of controlled substances from its distribution centers in Colorado, Ohio, Michigan and Florida for several years. And this was not even the first time McKesson had experienced a hefty fine — it was fined $13.25 million in 2008. Cardinal Health also reached a $44 million settlement with the federal government for violating the CSA in December. A month later, the company was ordered to pay another $20 million to the state of West Virginia. AmerisourceBergen will also pay $16 million to West Virginia, a state that has suffered from opioid overdoses. Government officials hope these penalties serve as a wake-up call to drug distributors to have effective systems in place to identify and report suspicious orders for controlled substances. 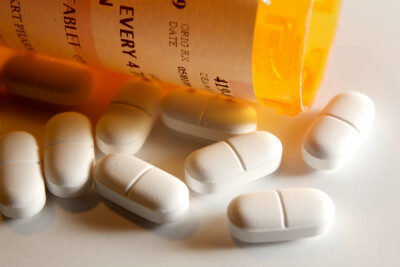 "Oxycodone is a very addictive drug, and failure to report suspicious orders of oxycodone is a serious matter," said Special Agent-in-Charge Karl C. Colder of the Drug Enforcement Administration. "The civil penalty levied against Cardinal should send a strong message that all handlers of controlled substances must perform due diligence to ensure the public safety." Given that drug distributors can supply large amount of controlled substances like oxycodone and hydrocodone pills to pharmacists, it is important that an effective monitoring system is in place to assess suspicious orders and the misuse of these products. Some proponents believe the requirement for scrutinizing their orders and penalizing those who are not in compliance will save lives, given that more than 30,000 people experienced opioid overdoses in 2015. If drug distributors are able to put the effort into improving their monitoring and distribution of controlled substances, this can not only decrease their changes of being penalized, but it can serve as the first step in helping to address the opioid epidemic.